Larron has no idea how critical his condition is. I have told him that since he keeps biting his fingernails so much his stomach has bloated and we are in Chennai to clean up all the mess in his body. But, the truth is that his condition might turn fatal if he does not get a liver transplant within the next two weeks. Now, his condition has deteriorated. He is 6-year- old but he still looks like a 3-year-old. He is very tiny for his age. His stomach keeps bloating up and he can’t even play. He feels ashamed of it, he thinks it is his mistake. He does not talk to other kids because he fears that they might mock at him. It is painful to see him, his stomach is bloated but at the same time he is hungry, but he doesn’t want to eat! My wife's (Renuka) breaks into tears seeing him going through this pain and trauma. The good thing is that, because of what I tell him, he is not afraid. In fact, he is such a happy child. 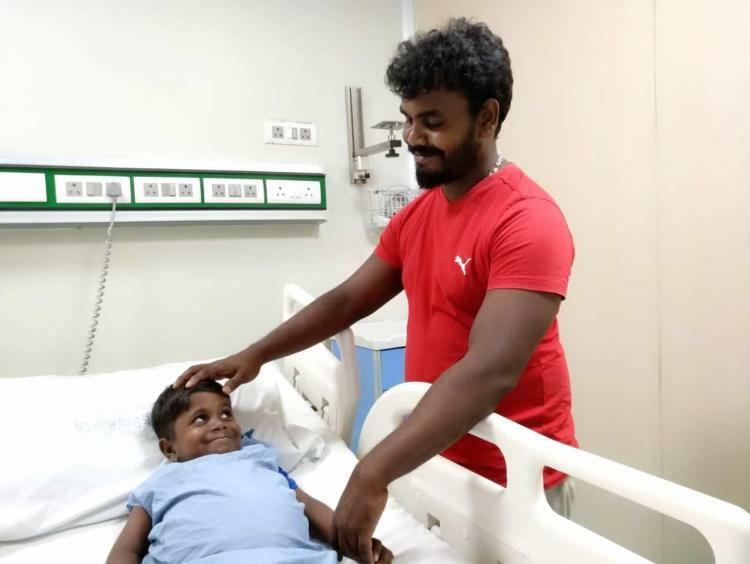 He plays with other kids in the hospital and gets along with everyone because kids here are also like him. He has no idea how critical his condition is. He just can’t stop itching too. Several times, he’d complain that he can’t breathe normally. He has been suffering since 6 long years. Every day, his health keeps on deteriorating. There were scares right from the day Larron was born. He was born premature and weighed only 1.2 kilos, which is less than half the weight of a normal baby. Since I was working a construction job in Qatar, I could only see all this through a video call, this is the most unfortunate thing that could happen to a father. I couldnt afford to take leave from my work. Within the first three months, Larron became so yellow that I knew there was something wrong with him even though I was seeing him through a video call. He was diagnosed with biliary atresia. I know that it’s terrible for the liver and life-threatening because the bile ducts are scarred and blocked. He just wouldn't stop crying. 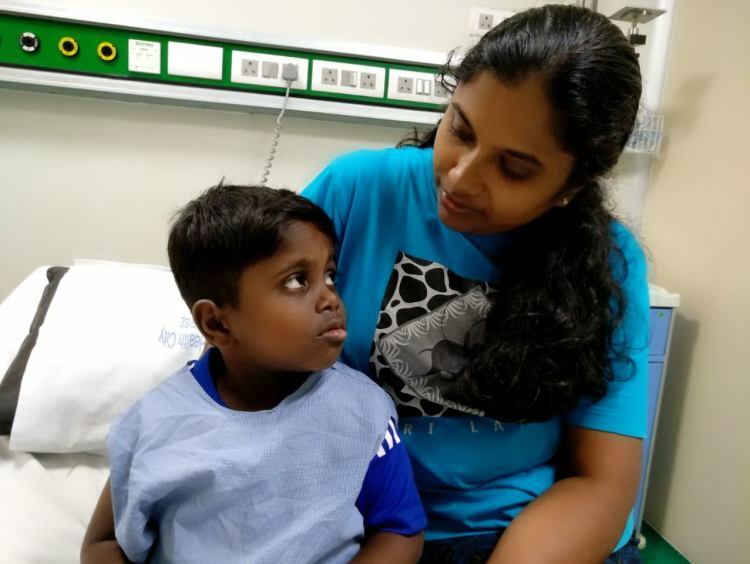 My wife traveled from Colombo to Chennai all alone and Larron underwent a Kasai procedure. In a few days, I was informed that the operation had failed. I was devastated beyond words. I wasn’t there to support my wife and my newborn and that was heartbreaking. 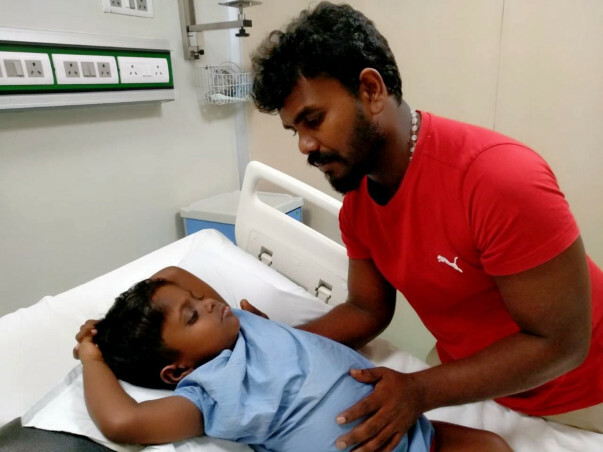 The doctors said that he could stay alive on medicines but we had to keep a close eye on him. I came back to Colombo about 2 years after Larron was born and I started working as an Auto driver, earning around Rs. 10,000 per month. Every doctor stressed on the fact that Larron needed to undergo a liver transplant immediately. Even though we're poor, I didn't want to give up. Back home, I met with a 9-year-old girl and her father. 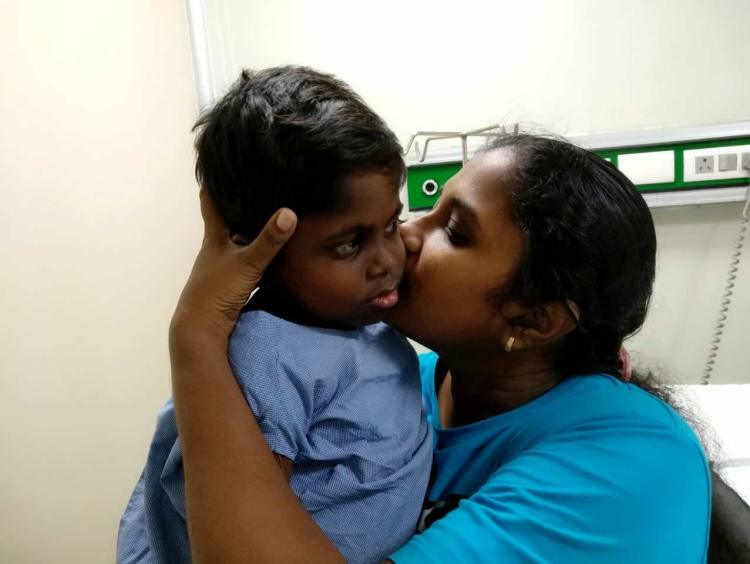 The girl had the exact same condition as Larron and had undergone a liver transplant in Chennai and now, she is completely normal and even goes to school. After consulting a few doctors, I took a loan of Rs. 6.5 lakhs and we came to Chennai. Coming here has been so costly. The rent, Larron’s medicines, all the tests on my wife, and the food has literally swiped out every single rupee within just a month and a half. My wife has been matched as a donor and we’ve done all the tests too. Only the transplant needs to be done but it costs around Rs. 10 lakhs. How am I supposed to save my son with no money and no help in a different country? I’m just an auto driver. I’m trying to stay positive but it seems harder with every passing day. 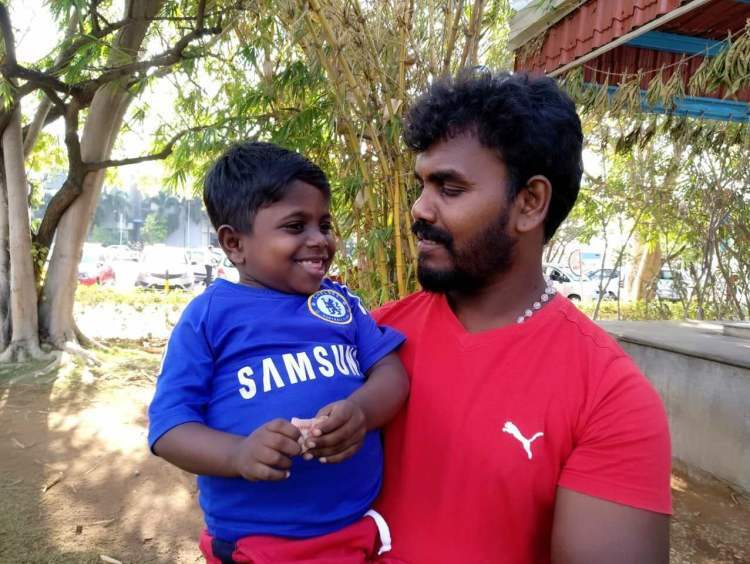 Suman, a poor auto driver from Sri Lanka, needs support to save his 6-year-old son, Larron, whose liver is failing and is taking his life slowly. His only hope for survival is to get an urgent liver transplant, otherwise, he may not make it back home to Sri Lanka. Your support will help 6-year-old Larron live and return home again. Our son Suman has successfully undergone the Liver Transplant surgery in Gleneagles Global Health City hospital. Both mother (donor) and son are doing good. We are travelling back to Srilanka end of this month as our visa period to stay in India is also getting over. He is still recovering but is getting better. 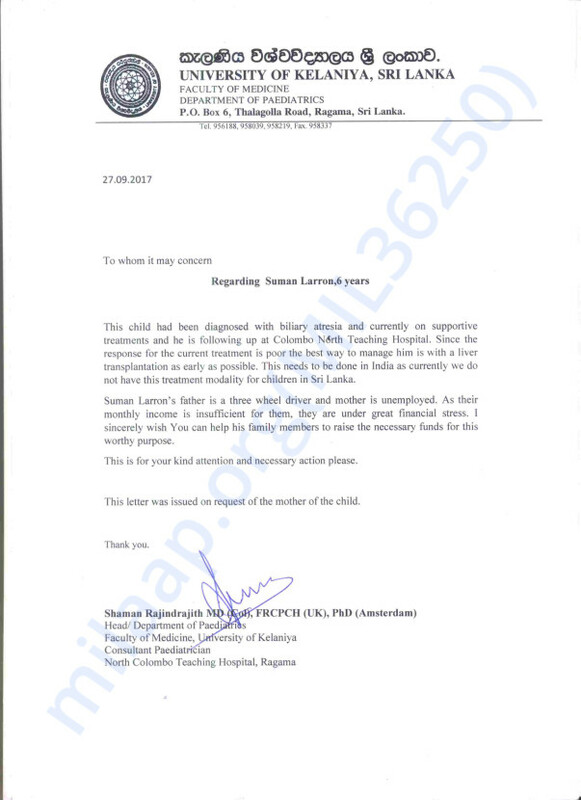 There would be a follow up check up which the doctor will carry-in Sri Lanka (as luckily he will be travelling for work ). We would once again like to thank each one of our supporters and the Milaap team who were there with us all through our journey. 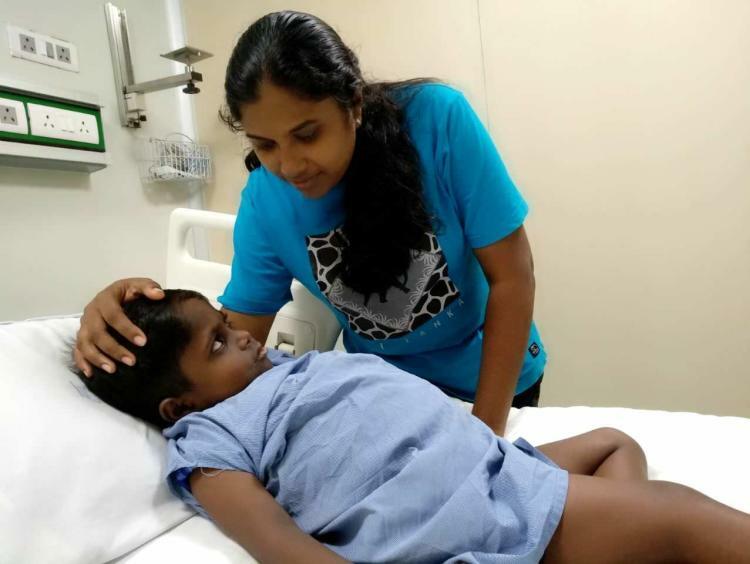 The wishes and blessing of each one of you have helped Suman get through this surgery. Sending this as a final update from our side, as we would closing out the campaign soon. Suman is doing better and is on the progress of recovering. 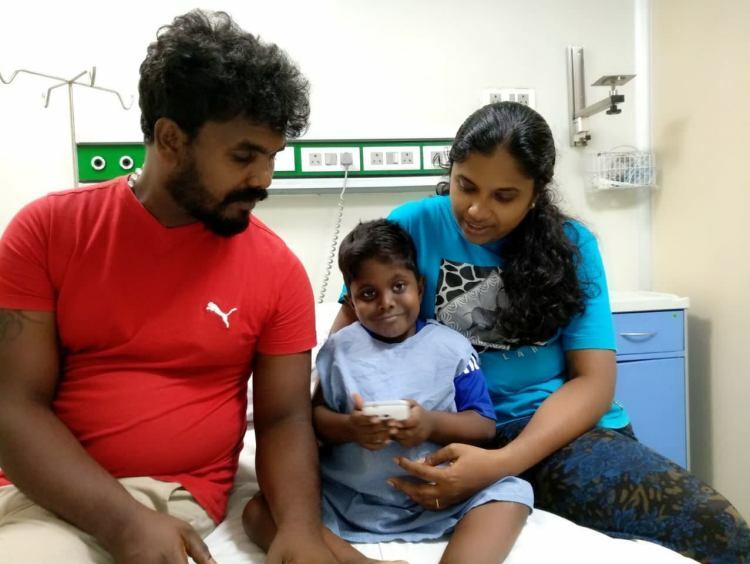 In a few days he might be discharged and then can be shifted to their rented home in Chennai before going back to Sri Lanka. The recent withdrawal amounts will help them get his medicines for the whole year and paying the remaining bills. Thank you all for the support, wishes and blessings!!! His surgery was successful and he was in ICU for few days. He is currently shifted to normal ward and is recovering.